Holiday travel is probably the biggest expense for families who go the distance to be home for the holidays. Over the last couple of years, my family has traveled to the East Coast after making a stop in the Midwest, which added up to several thousands of dollars just for the two of us! If you want to avoid the high holiday travel prices, there are a few tips and tricks you ought to know before you hit that big “Book now!” button. For instance, when is the best time to book a flight? Where can you find the best holiday travel prices? And my favorite: What day of the week usually has the best travel deals? Get ready, because I’m going to answer all of these questions and more just in time for you to plan, book, and enjoy your holiday travel this year. No one wants to be caught in a travel nightmare, especially during the holidays. But if you find yourself with a delayed or cancelled flight, lost luggage, or other issue, here’s a quick guide to your airline passenger bill of rights! What day of the week has the best travel deals? Historically, Tuesdays at 1:30 p.m. Eastern are when you’ll find some of the best deals on air travel. The reason why is most airlines post their deals for the upcoming week on Tuesday mornings. Then it takes a couple hours for their competitors to try and meet or beat those deals. So, by the time early Tuesday afternoon rolls around, the deals have settled in and you’ve got your pick of the best offers. When is the best time to book a flight for my holiday travel? For Thanksgiving travel, it’s best to book your flights during the week of October 31, and if you’re looking for December holiday travel, check booking sites during the week of November 21, according to Skyscanner. Last but not least, Skyscanner recommends booking your New Year’s travel during the week of December 5. Where can I find the best holiday travel prices? While you can sometimes find a great deal right on the airline’s booking site, you’ll most likely find the best deals on booking sites like Expedia and CheapOair. Don’t forget to check out coupon codes for these booking sites, too, to bring your holiday travel costs down even more. If you have the option to fly out of or into more than one airport, compare prices at each one. You may be able to find a significant savings if you do a little bit of research! 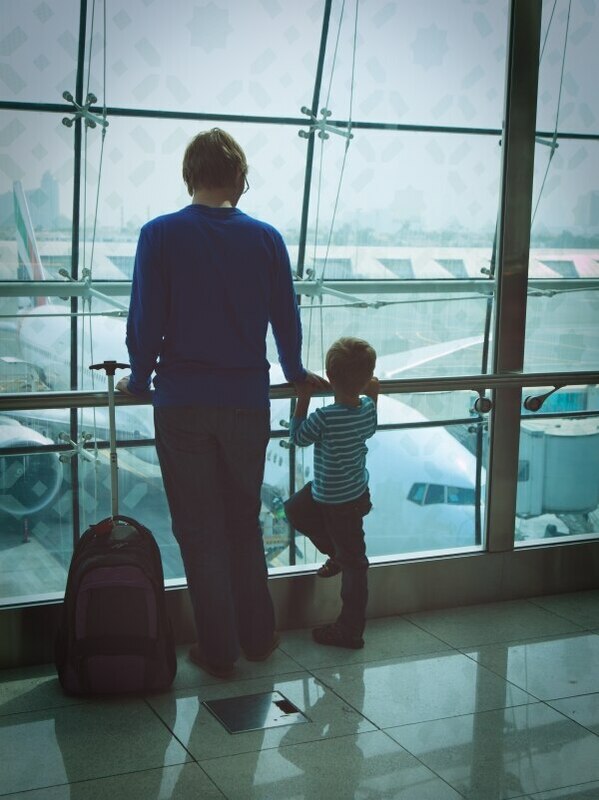 Planning on traveling with your little ones? 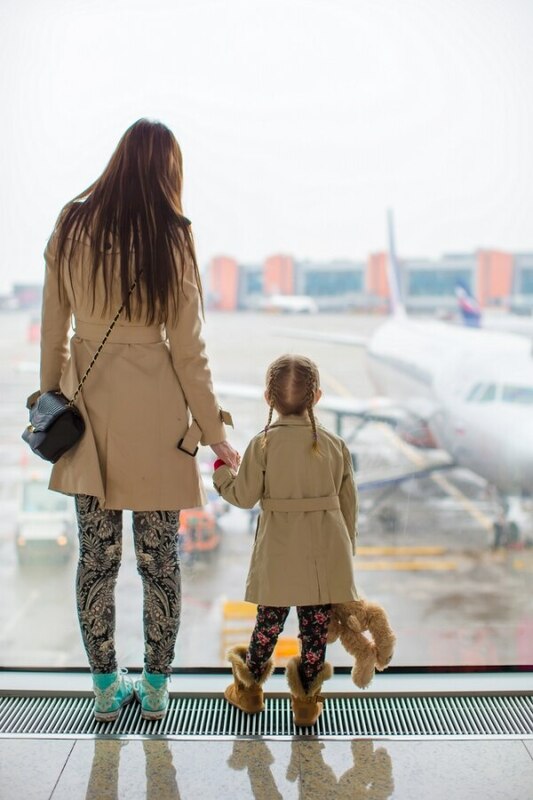 Check out our tips for traveling with kids to make everyone’s life a little bit easier — and fun! If you have the option of traveling the day of the holiday, you may save some cash! If you book an early flight you can usually get there just in time for that holiday meal, especially if you’re traveling from the East Coast to the West Coast. Consider converting your reward points into reward miles. Many credit cards allow you to use your points to book airfare, but be sure to check what the conversion rate is. What you really want is one reward point to equal to at least one mile. What are the best travel credit cards I can use? The Capital One Venture card and Chase Sapphire get high ratings for travel points from various expert sites, which makes them a great place to start. Some cards also offer bonus miles for signing up, but you should check to see how long it takes to get those miles into your travel bank. Many times you have to spend a certain amount on the credit card before the miles are credited. Looking for credit cards that’ll reward you for all your holiday shopping? Check to see if my 5 top-rated credit cards for shopping are in your wallet!